I founded ECCA Nordic in 2005 in order to realise my vision of the ideal Nordic Export Agency: one which prides itself on driving business growth while enabling forward-looking communities across the world to live the Nordic way – embracing sustainable, confident and fulfilling lives. My Finnish / Swedish heritage means that I understand the power of working for the collective good but, am also able to translate this into markets where individual success is valued. Under my leadership, ECCA Nordic has brought together competence-based teams and networks; creating an effective exporting launchpad for products and services in the areas of environmental technology, sustainable industrial construction, education and healthcare. 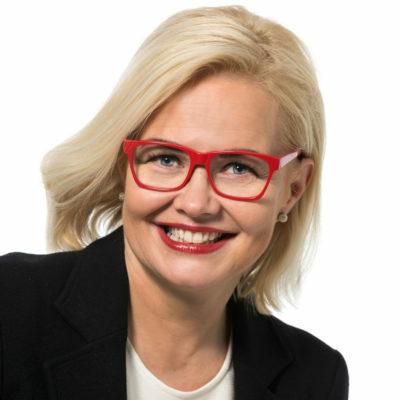 I am proud to say that by embracing technological advancement and doing what is right– for clients and partners but, also in the wider sense, ECCA Nordic is a respected convenor of business across the Nordics and beyond. Nordic living is about building healthy, connected societies that are cleaner and more sustainable than ever before. ECCA Nordic knows that every person deserves to live this way. We therefore build on regional opportunities to reach further; using local expertise, new technology and powerful networks to make our approach to positive living accessible beyond the Nordics.